Happy 1st birthday to my blog. Today is a very special day! today my blog is 1 year old and this is my 300th blog post! 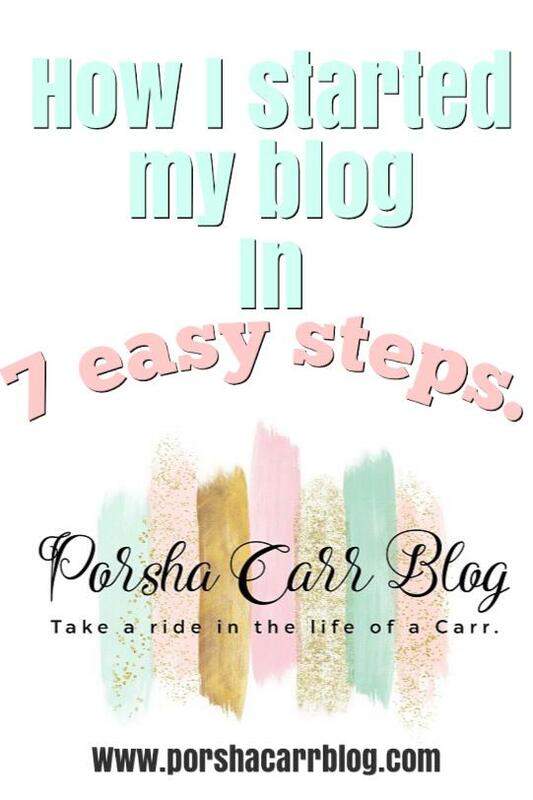 One year ago today I sat down on an old beat up laptop and created Porsha Carr blog. I had no idea where this would go, I had no idea what it would do, I had no clue what I was doing. I was lost but I was determined to create my blog and I did and today my little baby is one. Since I started my blog I have been lucky enough to write for companies like Mcdonals, Degree Disney, Walgreens and more. I have been able to work with companies like Coca-Cola, Walmart, Fisher Price, Cheerios 24 Hour Fitness, and the list goes on (read it here). I have worked with over 100 different companies for over 100 different reviews. I have been invited to attend private shows and premiers and I have landed two sponsored trips for my family and I. All this because of my tiny blog. When I sit back and re-read what I just wrote all I can think is "wow". This isn't luck, this is pure hard work and I can't believe that my blog has brought me this far, with this many opportunities. It feels so good to be able to say I have accomplished all this in a year. But I couldn't have done it without the help of my awesome readers. So as a thank you I decided to answer some questions I have got from you guys below. Will you ever start vlogging? Do you email pitch for sponsored trips? I have before yes. 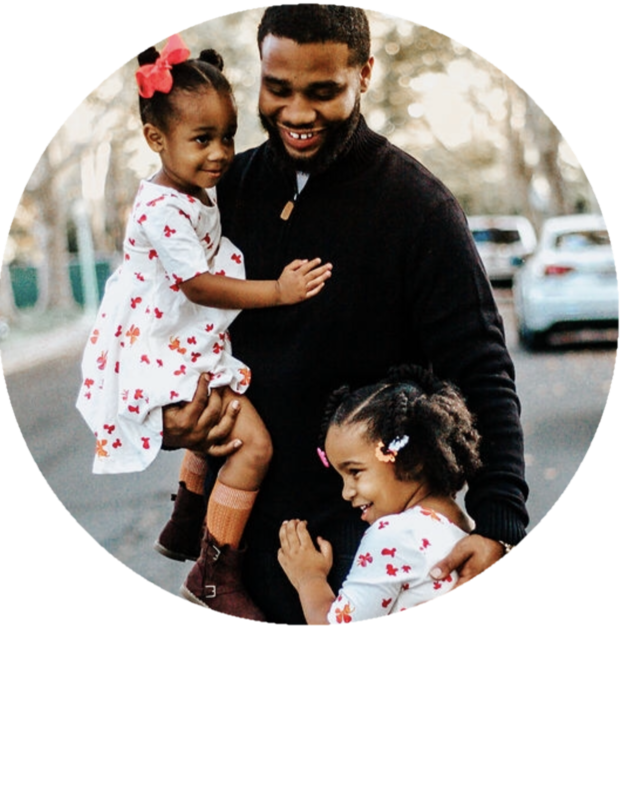 there are so many great family blogs out there sometimes it can be hard to stand out from the rest. It's okay to email pitches and to sell yourself to companies to sponsor trips for you. It's great to put yourself out there and make yourself known to them. How do you get more subscribers and page views? To be honest I don't have any secret to get subscribers. I'll receive an email when I get a new subscriber and even I'm surprised. For page views, I usually will promote my blog on my Instagram or Pinterest. A lot of my traffic comes from Pinterest I find. How do you get brands to work with you? I sell myself to them. Hello, how are you? my name is Porsha I am the writer of www.., then I go from there. It's good to have a nice media kit (resume with prices) as well. How did you get started up? how do you keep up with posting so much on ig and blog and being a mom? I wrote a blog on how I started (read it here), It's really hard to keep up with posting, I won't sugar code it. But I find that writing everything down in my planner helps me stay organized on which date to post what. Juggling all that with being a mom I think just comes naturally. I try to only work on my blog during the day, that way when I get home at night I give all my time to my girls. 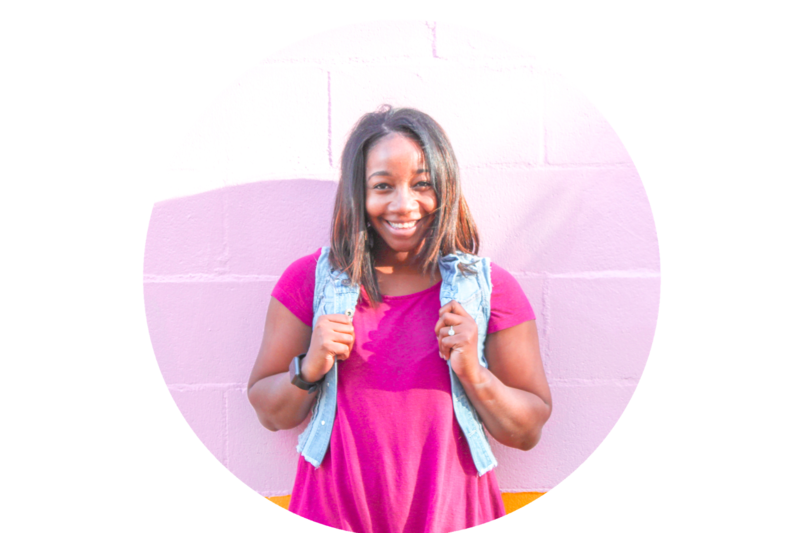 I know it's your number one question but how did you get into blogging and how do you? Do you research companies or do they reach out to different bloggers they come by? Both, when I first started nobody knew who I was so I had no choice but to reach out. As time went on the tables turned and companies started emailing me. There are multiple sites out there as well that bloggers can sign up for jobs on too. How to be consistent while having a job and being a mom? Any struggles you face? On my downtime at work Monday - Friday breaks and lunches, I will write my post, that way I stay consistent with a writing schedule. Since I do work full time the only struggle I face is getting photos done. I only have the weekend to do those, because that's my only free time. How do you make a money with your blog? You can make money with your blog in many different ways. Through a sponsored blog post, affiliate programs, guest post etc. I make money with my blog through either charging for a guest post or through a sponsored blog post. How do you negotiate pay? I have a media kit so I will pass that along to companies. If we don't agree on a set amount outside of my media kit then we usually will have a talk about what to change or how to meet in the middle. Best advice for starting collabs? Hmm, that's hard. I think my best advice would be to just be yourself. Rather you just scored a collab or you're trying to get one just be you. Ask the companies as many questions as you need, make notes of everything. Buy a planner for sure. Can you help me start my own blog.? I love makeup and fashion? I would love too. I don't know much about makeup blogs but I know fashion blogs are really hot right now. How in the world do you find time to blog? And how do you come up with blog topics? I blog when I am at work (my day job as I call it) on breaks or lunches. As far as blog topics it has never been hard for me honestly. I love writing so I find blog topic inspirations in my everyday life. My kids, my family or something that just pops in my head walking down the street. I even am inspired by other moms DIY projects or walking in Walmart and I see a sweater I like I might think to myself "how could this make a good blog post? Oh I know I'll write about affordable sweaters at Walmart" or something like that. Real life blog post actually lol you can read it here. It's cool inspiration just comes to me. Though I may find it hard to start the blog because writer's block I'll go have a drink of juice or a snack and come back later and start the writing process. If you guys have any other questions feel free to comment or email me. Things for my little blog are looking great for the future. I have some really cool collabs coming up, a little bit of blog remodeling and a bunch of awesome posts I wanna share with you guys. I also will be writing more personal experience blogs, I feel like my readers are not just my readers but my friends. I want you all to be able to relate to me more as I relate to you. I am really excited to start doing more personal experience post. I also can't wait to share more recipes and DIY post as well. I also have some really big announcements I'll be announcing on my blog in a few months so stay tuned. I can't wait to take my blog to the next level. I accidentally let it fly away so I made a wish on it. (finger crossed). Thank you guys so much for making my blog what it is today. 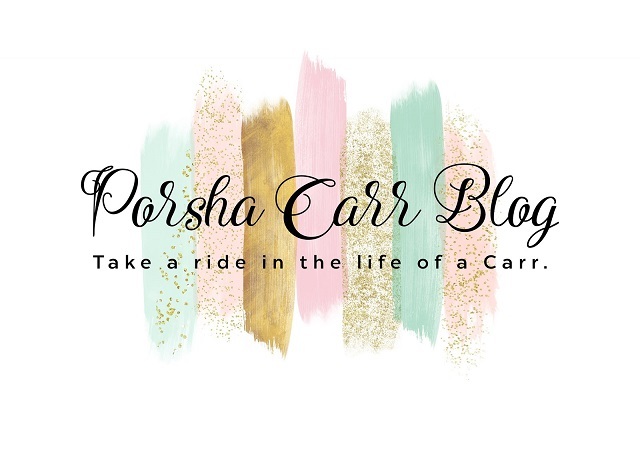 I love each and every one of you and I am so happy to have you apart of Porsha Carr Blog.